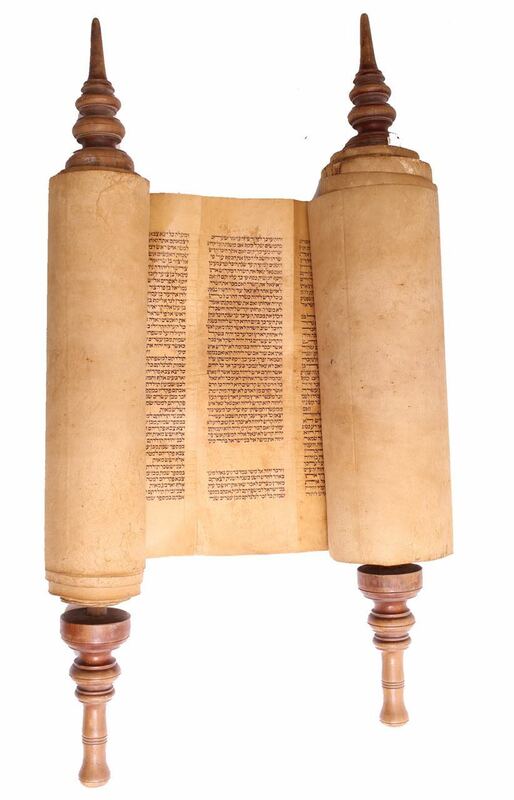 Sefer Torah, sofer script on gvil scroll – Morocco, 19th century. Sefardi handwriting, written nicely by a professional scribe, uniform writing throughout. Ink on red gvil parchment (thick, soft leather). Writing done on the outside part, which causes its unique color: brown/red. Some of it has erasures and corrections done over the years. Not sold as kosher. | Height of the handles: 50cm. Writing: 39cm. 42 lines per column. Generally ok to good condition.